Pet-friendly design is in! Is it any wonder when the American Pet Products Association (APPA) estimates that 65 percent of U.S. households (79.7 million homes) own a pet, and Americans are expected spend $60.59 billion on pets in 2015. According to the Wall Street Journal, one reason that more Americans are adopting pets now is because they are delaying getting married and having children until later in life. “And yet, having a pet can affect your lifestyle much as having children might,” says Washington, D.C.-based interior designer Kirsten Lytle, NCIDQ. Lytle offers these tips for integrating your pets (and their gear) into your home in a way that makes sense. 1. Cover the basics. Make sure that your pets have access to shelter, water, shade, daylight, good air circulation (it’s important for all animals—including us! ), non-irritating surfaces, fully fenced areas, and spaces to play. Make it easy for your pets to behave. Dogs love to have a window at eye-level to see out, but if they make too much noise when watching the front walk, think about providing views to the back yard only. 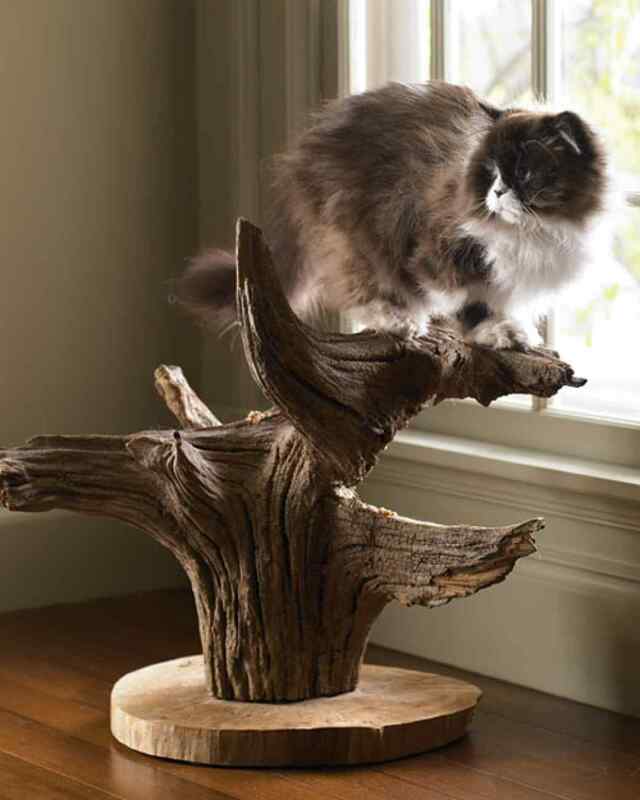 Because cats love to climb, create unexpected ways to provide them with a safe spot. If your cat shreds your furniture, provide a healthy shredding outlet (see below); if your dog chews your shoes, find somewhere to store the shoes out of reach, and provide some acceptable chew toys. 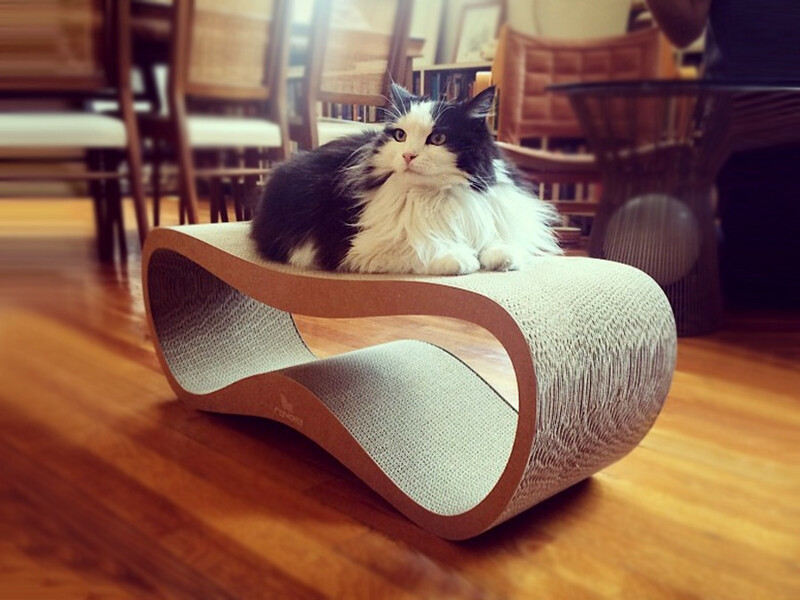 Find the size and style of dog bed or cat bed that's right for your pet and pocketbook. 2. Think pet-centric. Pick one main area of the house to handle most of your furry friends’ activities, such as the mudroom, kitchen, laundry room, garage or outdoor shed. Keep pet-related items (food, bowls, brushes, toys, leashes, etc.) near areas that are heavily used by your pets. Make good habits easier by: putting dog-walking items by the door, ready to go; keeping pet washing things together in a bucket that’s easy to grab; and placing old towels (hidden away) by the door for cleaning muddy paws on rainy or snowy days. Consider built-in solutions, including pullout covered containers for dog food, cabinets for storing dog and cat food, and built-in feeding bowls for dogs and cats. To avoid dogs tracking mud through your house, create a stylish, built-in pet bathing station (like the one at the top of this post -- photography by Peter A. Sellar, found on Live Simply via Brit + Co.) near the most common point of entry for your pets. 3. Select tough materials. “Fabrics like Crypton and floor coverings, including resilient flooring, carpet tiles, or B?lyü woven vinyl, are wear-resistant and look great,” Lytle says. Custom fabrics can also receive treatments for stain-resistance. Ideally, finishes should be bleach-cleanable or washable, and have a Wyzenbeek (abrasion test) double-rub resistance of 100,000+. And invest in a waterproof cover for your mattress for that day your cat gets you back for neutering him or your dog has an accident on the bed. 4. Minimize pet odors. Beyond regular deep cleaning, make sure pet food is sealed and litter boxes are out-of the way (not near the kitchen!). Consider utilizing nontoxic essential oils near where your dogs and cats spend most of their time (but not directly on pet items). 5. Consider pet-centric design options. National chains like Petco.com carry a wide range of dog and cat products, from gates and doors to bowls, feeders, and fountains. In the mood for modern? Martha Stewart (photography: Laura Moss) from a fallen tree on her property. 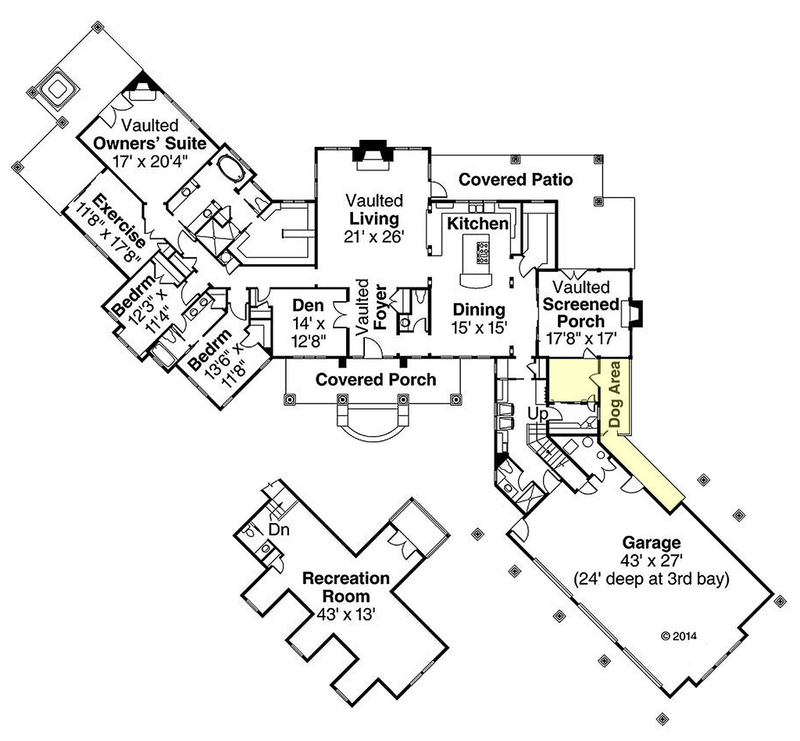 as in Plan 124-967, shown here. In the end, common sense is always the key -- then you won't find yourself in the doghouse!